Carverville's prodigal son, James, serendipitously finds work at a gentrified motel, but his homecoming soon takes a sinister turn when he and a local teenager make a gruesome discovery on the beach. It forces him to reckon with the ghosts of his past--and the dangers of the present. Rumors, distrust, and conspiracies spread among the townsfolk, all of them seemingly trapped in their claustrophobic and isolated world. But is there something more sinister at work here than the mere fear of outsiders? 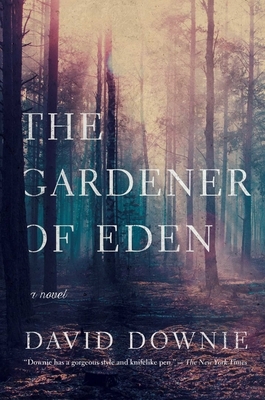 In The Gardener of Eden, David Downie weaves an intricate and compelling narrative of redemption, revenge, justice, and love?and the price of secrecy--as a community grapples with its tortured past and frightening future.